I have access only in Accounts. Have a look on below link. 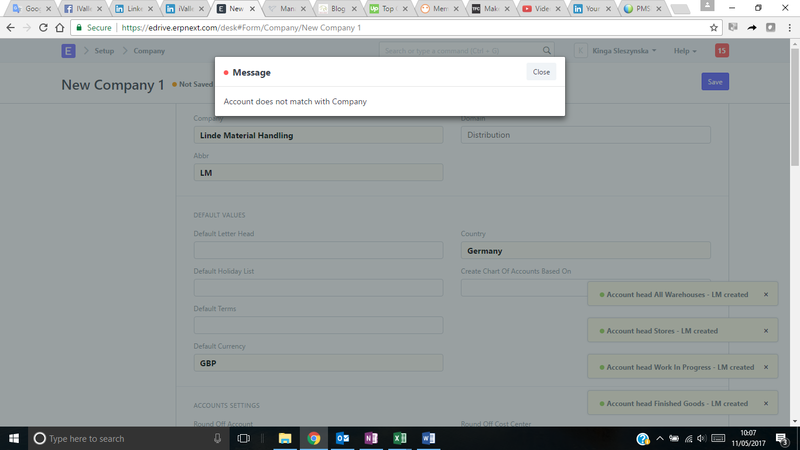 Add only three fields while creating new company. 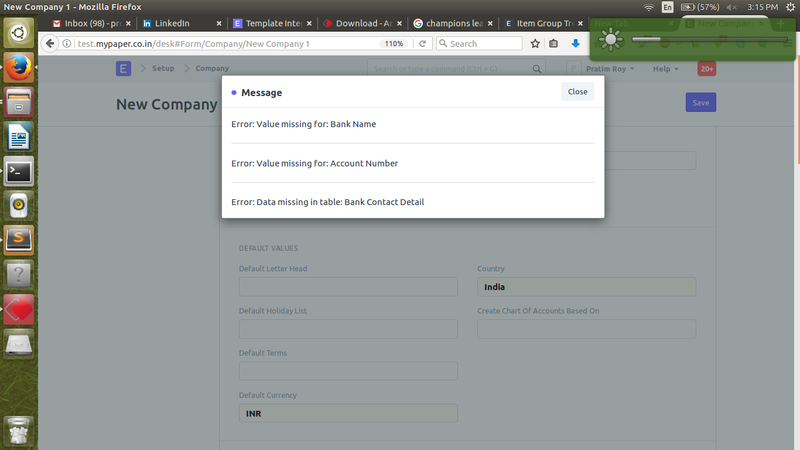 Such as: Company Name, Abbr and Domain than click on save button. do you solve the problem?